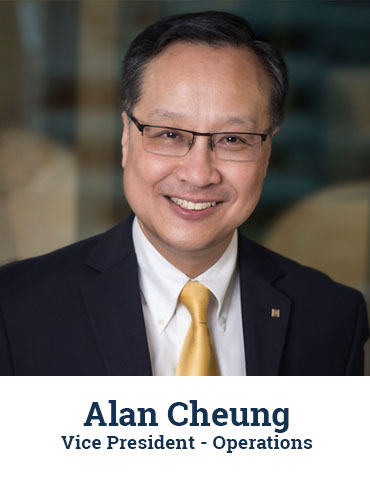 Alan is the current VP of Operations at CF Canada Financial, and he brings over 20 years of sales, marketing, and management experience in USA-based IT companies to his role in the organization. His versatile techniques are the result of international dealings with clients across various continents, new business model integrations and workflow optimization initiatives. Alan’s outstanding achievement, superior leadership, and exceptional service has resulted in his exceptional sales track record during his career at Unisys and earned him several distinguished awards and notable mentions. His active role within the CF Canada Financial team has resulted in substantial structural changes that make the organization more adept at meeting the challenges of the current market. In dealing with people, partners and clients – Alan’s seasoned managerial skills allow him to bring out the most of any team in any scenario.